Are wrong persons leading our “Islands of Excellence”? You consider the potency of any institution; the seeds of clover is often said to balance between the pinnacles of administration, along with the rich quality of students therein. However, matter speaks something contrary when it concerns the administration of some of the ‘best institutions’ of our country. 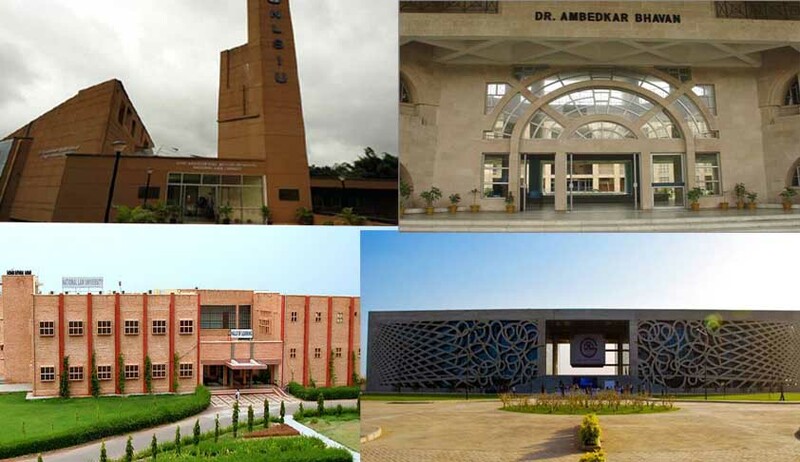 Regardless of their reputation and seamless acclaims, NLSIU-Bangalore, GNLU-Gandhinagar, NUJS-Kolkata, and NLU-Jodhpur have been privy to a number of malpractices in its administration. Right from the unwarranted expulsion of Visiting Faculty Sidharth Chauhan, without any prior or subsequent show-cause, to the allegations raised against NLSIU’s Vice-Chancellor Dr. Venkat Rao on increasing goof-up’s in routine dispositions, the premier law institution has witnessed a series of loopholes which demand the highest degree of attention. The conflict between the official order of termination of Chauhan and the reports of the CPIO, NLSIU, raises high concerns as to the veracity of matters which still remain veiled to commoners, as well as students of the institution. While the official order passed by the University expressly declares the termination of his contractual appointment without any substantial reasoning, the Central Public Information Officer’s reports out-rightly declare the cessation as non-existent. Also, there is no indication as to whether any complaint was earlier filed against Chauhan or whether anybody in the faculty had requested his removal. An appeal filed by Prashant Reddy, seeking reasons for Chauhan’s dismissal, also raised several queries including the use of ‘Grievance Redressal Mechanism’ by the Vice-Chancellor to inflate the grades of students. Allegedly, the Vice-Chancellor acted indifferently to the complaints addressed to him by Shreya Rao in her letter seeking appropriate action against students allegedly involved in malpractices during repeat examinations. All in all, it becomes apparent that NLSIU has been discreetly evading the attempts made under the RTI in bringing matters to light. News regarding GNLU’s prolonged controversies and administrative transgressions has almost become viral. It would only be a mere reiteration to highlight the allegations against the University’s Vice-Chancellor, Dr. Bimal Patel; right since his alleged caste based comments on one of GNLU’s students to the method and procedure of his appointment as the administrative head of the institution, all of which have fallen into bags of disputed concerns. Recently, a high-powered expert commission on GNLU criticized director Prof. Patel’s appointment, as well as his manner of penalizing students at the law school. NLSIU Bangalore’s founding Vice Chancellor Dr. N R Madhava Menon and former Law Commission of India member H C Dholakia had submitted a 41-page report of GNLU’s first ever school review in January, suggesting changes to the “defective” appointment procedure for the law school’s head. They also raised the law school’s faculty and administrative staff deficit, the policy of extracting heavy fines from students, lack of effective grievance redressal mechanisms for faculty and students, and examination rules. It is a worthy mention, that while the law school’s sanctioned faculty strength was 65, including five professors, GNLU, at the time of the report, had only 35 faculty members including one professor who was promoted to the designation after March 2012. It was, however, a sad situation considering the management committees were headed by assistant professors or associate professors lacking the requisite experience. It is unfortunate that senior academic positions such as that of the Dean of academic affairs or co-ordinator of research studies are being held by assistant or associate professors. There has been an obvious communication gap between the students and the administration; and the apprehension of victimization on voicing grievances on part of the students is said to exist because of the Vice-Chancellor’s ruling out of any kind of Student Association in the University. Amidst such glaring irregularities within the administration, it becomes seemingly difficult to calculate legitimate conduct and consequent turnouts in supervising the best legal institutions of the country. Adding to the incessant fuss in the administration is the highly reputed WB-NUJS, Kolkata, which has of-late augmented high levels of mismanagement within its staff bodies, to conspicuous politics and opaque demeanor. The students as well as the faculty had submitted separate petitions to the Academic Council, the apex body of the University with respect to all academic matters. Both the petitions pertained to the deterioration of academic standards and protest against an opaque and arbitrary administration prevailing at the University. The petition submitted by Student Juridical Association (SJA) had highlighted the loss of faculty at NUJS. In the recent past, almost nine faculty members had either left the University or were on leave for other commitments. The petition pointed out that the vacancies have not been filled, which consequently had led to acute shortage of faculty. Owing to this, the existing faculties were urged to take up courses which were not their area of specialization thus, leading to fall in academic standards. The Petition pointed out lack of transparency with regard to academic matters at the University. It is to be noted that an earlier petition to the Vice-Chancellor had not yielded any response, which further prompted the Student Juridical Association to escalate the matter to the Academic Council. The list of these kinds of arbitrary decisions taken at various islands of excellence goes on! The root of all these issues is the absolute power vested with the Vice Chancellors. If we allow the Vice Chancellors to continue exercising these powers according to their whims and fancies, then it will only add water to a sea of institutionalized mediocrity. Vice-Chancellors must lend their ears to the opinions of faculty and students. Transparent and collective decision making process including the students, faculty and Vice Chancellor will be the right step for the growth of these institutions. Student representation in Executive Councils and General Councils of the Universities must be also increased. All the instances referred herein are a pointer towards the maladministration in some of the top legal institutions of our country. If such practices, are not given an imperative consideration, it would hamper the academic standards as well as the repute of the institution. The question is; are wrong persons leading our islands of excellence? Raghul Sudheesh is Editor-In-Chief at Live Law and Sonakshi Das is Research Associate at Live Law.